The sport of robot combat is growing worldwide and attracting new builders in record numbers. Some new builders have experience, others are complete newbies. But all want to learn the dos, don’ts and best practices of the sport—and all have dreams and ideas for the next best BattleBot. So how do you build one? Learning to build a combat robot is a journey. No one can tell you exactly how to build your championship winning idea. Instead, you must embark on a path of research, education and community. You must take the steps and learn the combined disciplines of engineering, electronics, CAD, physics and design. You must communicate and commune with other builders, share ideas and resources, source parts and suppliers. You will work hard, make mistakes, go back to the drawing board and perfect ideas again and again. But it is worth it. You should start small—enter one of the many local competitions that are being held worldwide. As you gain knowledge and experience, move up into the higher weight classes. Then, one day, with much effort (and fun), you will be ready for the heavyweights, the big time. BattleBots! It’s not easy, But with tenacious effort you will achieve your goal. Start small, think big. Keep perfecting, keep innovating, and keep learning. All-in-all be safe. Building, testing and fighting a combat robot is dangerous. Use common sense, and if you don’t know what you are doing, find someone to help you who does. Below you will find some resources to start your journey. These are by no means comprehensive, but should open the door to the larger treasure chest of knowledge that is online, and in the brain trust of the combat robot building community at large. Good luck. Be safe. Have fun. Important Note: These resources are for building a combat robot in general. To build a robot specifically for the BattleBots TV show, you must have the experience, knowledge and know-how to do so. You must adhere to our rule set, apply for our event and be accepted by our selection committee. 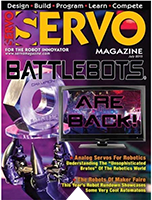 A great resource of information on the sport and history, and includes an entire section on building a competitive combat robot written by famed bot builder Christian Carlberg. 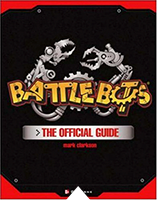 This illustrated guide to building combat robots is written by expert builder Grant Imahara. 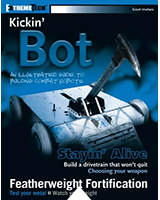 With its step-by-step directions, and expert advice, this book will kick you bot building career in gear. 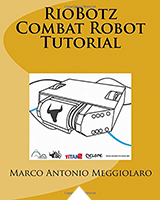 Written by the builder of the incredible Brazilian robot Minotaur, author Marco Antonio Meggiolaro summarizes the knowledge learned and developed by his team in a 374-page tutorial. The worldwide hangout of most combat robot builders. This is a closed group. But ask nicely, pose intelligent questions and you’ll get in and discover a wealth of resources and information. An open, more general forum on all things robotic. This is a great place for newbies to start asking questions, investigating solutions, and meeting the worldwide bot building community. A UK specific forum run by the Fighting Robots Association (FRA). This discussion group is the perfect place for UK specific builders to start their robot building exploration. 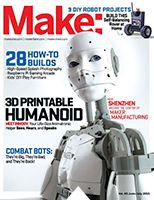 The quintessential magazine for robotics hobbyists and enthusiast. Includes a monthly column on robot combat sports, and many full-featured articles on bot builds, how-tos and tutorials. Make serves the growing community of Makers who bring a DIY mindset to technology. Whether a hobbyists or professionals, Make is the place to dive deep into home-brew projects, robotics, etc. 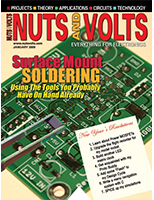 While Nuts & Volts is more focused on electronic builds, the magazine has resources for the guts of your robot: The wiring, transmitters, receivers, speed controllers, and the like. Designing, building, and testing robots are inherently dangerous activities that should only be conducted by trained professionals and/or qualified engineers. No minors should engage in any of these activities without the proper supervision of an adult who is either a trained professional or a qualified engineer. You fully assume the risk of any and all liability, injury, loss, damage, or death that may be caused to you and/or any third party in connection with your engagement in any robot designing, building, and/or testing activities. BattleBots, its partners, and licensees assume no liability whatsoever in connection with your engagement in these activities, and further make no representations and/or warranties, whether express or implied, with respect to your safety and/or your eligibility for any future seasons of BattleBots.